This unique portable containment system, when utilized Offshore, provides a cost-effective solution to our customers, and is the preferred cleaning method prior to 5 year/CBM inspection for wall thickness data collection. “When we were first introduced to Subsea Master’s UHP closed loop system, I knew this was the wave of the future”, says Mark Provine CEO of Mako. Subsea Masters have developed in-house a unique system of waste containment during the cleaning of marine riser joints. The system allows the waste water product containing rust, debris, drilling mud deposits and other contaminants to be channelled effectively into a single containment chamber. Craig Milne, Subsea Masters Managing Director said “we wanted to identify the right partner in the US and have been talking to the principals of Mako for some time. Mako was founded by the former TIC owners that sold to Proserv in 2012, so their oilfield pedigree was clear and they have been building an extensive service business under the Mako banner, which we felt was a good fit with our riser maintenance solutions”. Under the agreement, Subsea Masters will supply the patented riser containment systems for use by Mako during their riser maintenance projects and provide site training and ongoing support. “This unique portable containment system when utilized Offshore provides a cost-effective solution to our customers, and is the preferred cleaning method prior to 5 year/CBM inspection for wall thickness data collection” added Reg Powell Director of Inspection Services for Mako. For more information please visit http://www.subseamasters.com or http://www.makooilfield.com or make contact with the parties detailed below. Subsea Masters is part of the UK based GEV Group of companies and provides specialist engineering support to the offshore drilling industry, with a focus on the maintenance of marine riser. The business has an operational base located in the Port of Las Palmas, Gran Canaria, which geographically supports the Deepwater markets of West Africa, together with the opportunity to support rig owners transiting between the America’s, Europe and the Far East. Services are performed from a stable European base, matched with a UK focused health & safety culture and an extended availability of services through our longstanding partnership with local leading shipyard, Zamakona. 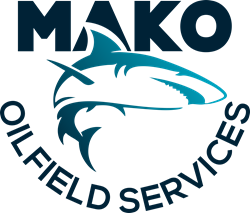 MAKO OILFIELD SERVICES was founded by the former TIC owners and team members that sold to Proserv in 2012. Our customer centric organization believes in providing superior technical services that add value to our customer and to our employees. MAKO is the company to call when safe success is the only option. For requirements ranging from custom control panels to running piping and tubing on a BOP stack or control system, marine riser cleaning and preservation we have the experience, expertise and manpower to help get the job done right, on time and on budget anywhere in the world.